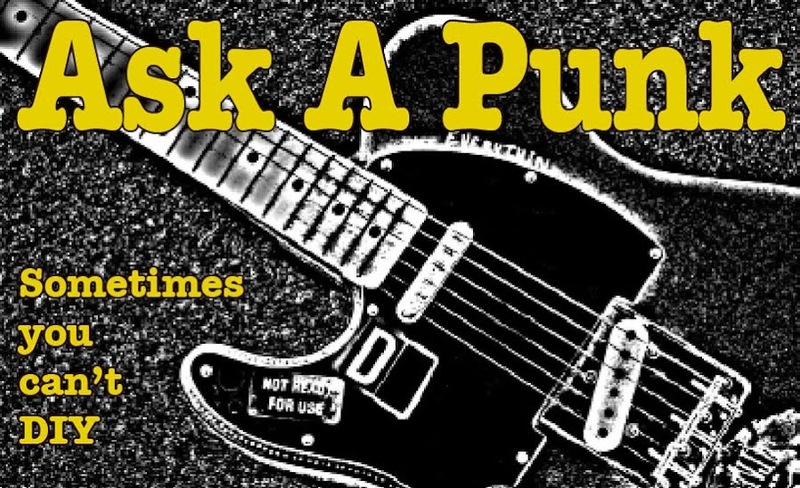 Ask A Punk: Hard Numbers (and some thanks) after 2 years of blogging. Hard Numbers (and some thanks) after 2 years of blogging. 2) do some public number-crunching. Thanks to everyone who has taken the time to read AAP every week. Thanks to everyone who has written in with a question. Thanks to everyone who has added AAP to their RSS feeds & Google Readers. Thanks to everyone who has spread the word in any way, shape or form. 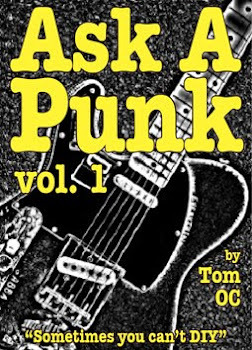 So, who has been reading and sharing Ask A Punk for the past 2 years? That brings us to the second thing I wanted to do. What do you say we look at some numbers? I'll confess right now that I am a biiiig map geek. I love looking at maps while either recalling the places I've been or imagining the many places I still want to visit. It is an amazing thing then, to look at my "Google Analytics" maps and discover that "Ask A Punk" is being read regularly in 59 countries (so far.) People are digging AAP in some of the world's best known cities, such as; Paris, London, Helsinki, Istanbul and Moscow (to name just a few) and in some of the most far-flung and exotic ones as well (Casablanca, Concepcion, Saskatoon, etc.) The maps also tell me that there is a growing readership in countless smaller, but equally fascinating, locations all over the world. As I said: Amazing. Closer to home, I can tell you that AAP is read in 49 of the 50 states... If any of you know anyone in Alaska, please drop 'em an email and ask them to help me get the clean sweep. 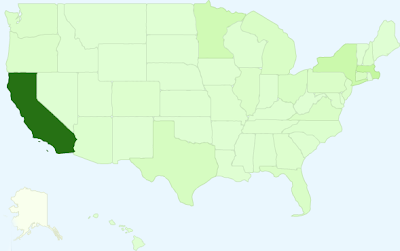 While I'm not surprised to find so many readers in California (where I'm currently located) and back East in the New England area (where I'm originally from,) it is exciting to know that I have a surprisingly robust readership in Minnesota (Minneapolis & St. Paul especially) as well as in such diverse states as Texas, Pennsylvania, Florida, Washington, Michigan, Oregon and Virgina. This might sound like a lot of bragging, but trust me, these numbers can also be humbling... and a bit enlightening. For example; It is interesting to note that I have more regular readers in Bekasi, Indonesia than I do in my old hometown, where most of my family & old friends still live. The numbers also tell me that after meeting 2 years of weekly deadlines, my hard-won readership is a couple hundred people per week... That might not sound like much in an arena where websites measure "success" by the millions of visits, but I'll take each and every one of you and say "thank-you" to you all again. And so, after 93 posts (well, 94 if you count this one) and well over 100,000 written words (which I don't have the energy to count tonight, but that is certainly a conservative estimate) someone will always ask the question: "Well, what do you have to show for all that work?" ...by my calculations I've got four things. 1) I like to think I have helped a few people and at least entertained a few more. 2) I have proven that there are people who want to participate in this endeavor, either with questions or as regular readers. 3) ...yes, my writing here HAS created a few opportunities for paying & freelance writing gigs. 4) According to my adsense account page, I have earned a whopping $1.93. ...Not too shabby, if you ask me. I realize that I need to add a blog roll etc to pay back some of the link-love I have been getting and not returning - So if you've linked to my site, please email me so that I can return the favor when I get that blog roll up and running. For the past year I have also been re-posting the weekly AAP question in the "Open Salon" section of Salon.com. I'll be looking for other similar re-posting opportunities. I'm always looking for other good & ethical ways to get the word out and increase awareness for AAP... keeping in mind that my budget for such endeavors would be $1.93 or less. I remain convinced that the best way to expand is through good word-of-mouth... which means I have to just keep at it and keep trying to produce the kind of writing that you good people will feel a burning desire to share with all your friends. Thank you again, to EVERYone from New Zealand and Australia, to Canada, and from Chile to India to Japan... and everyone in between.